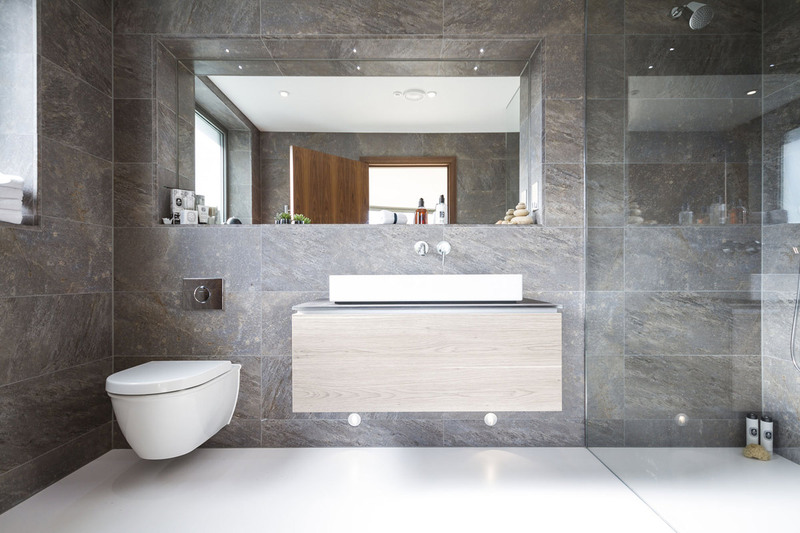 The Ventura project was completed by the Dorset based studio David James Architects & Associates. 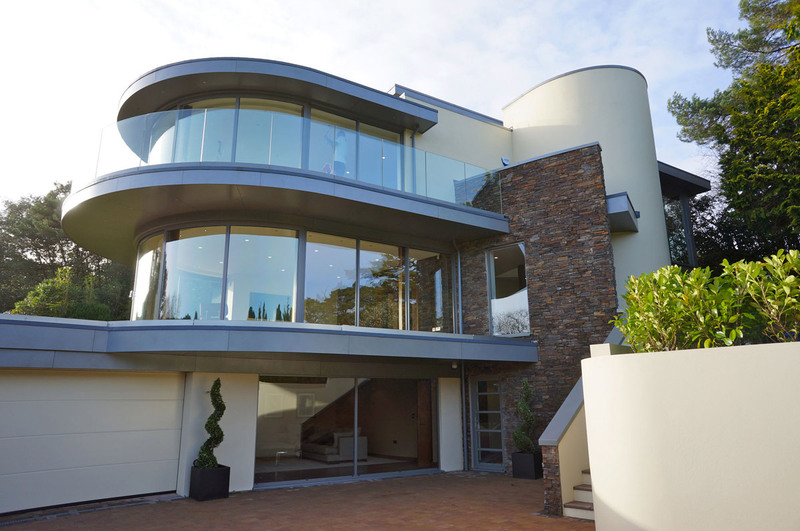 This stunning contemporary house has been built on a challenging sloping site. 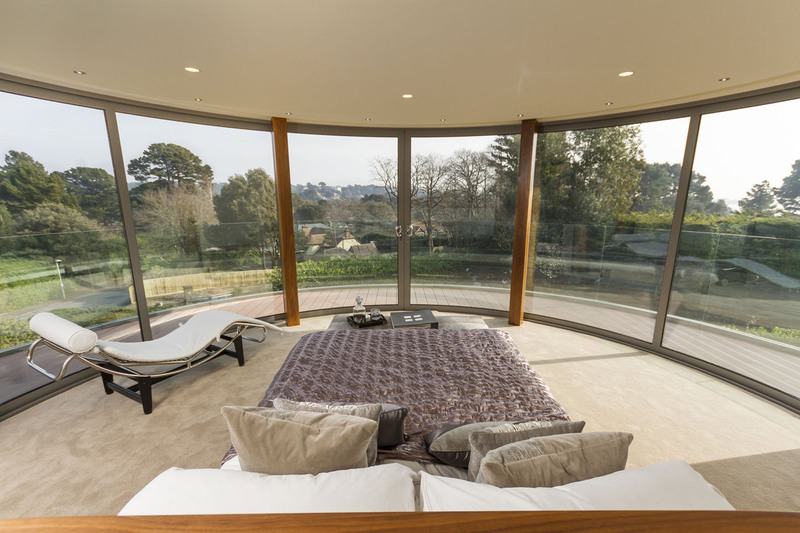 Glass walls throughout the home provide views toward Poole harbor from the first and second floors. 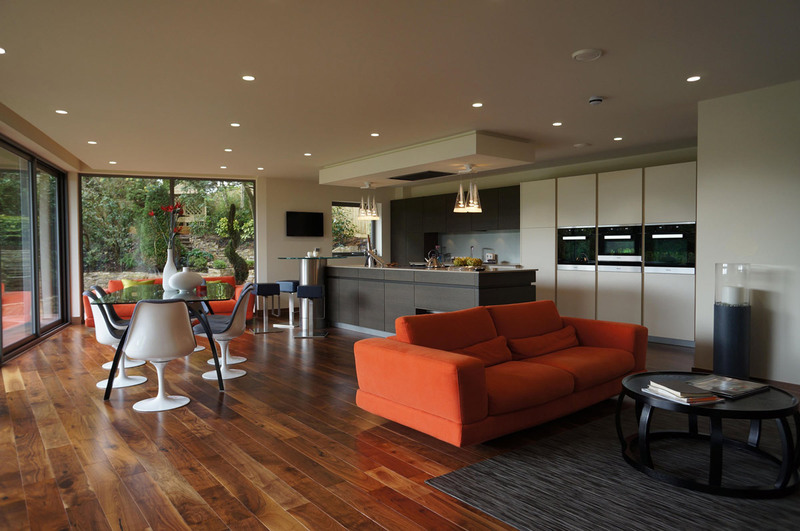 Ventura house is located in Dorset, England. 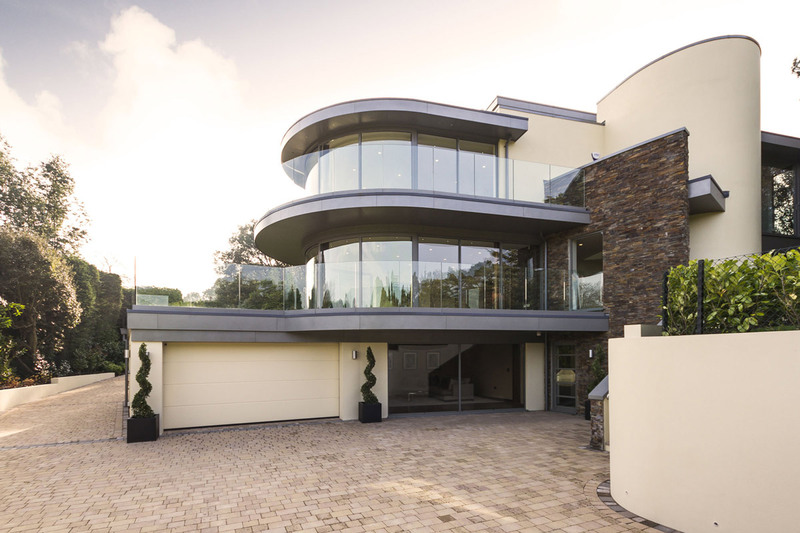 “David James Architects & Associates Ltd were appointed by Husen Developments Ltd to design this luxurious family home on a challenging site with varying ground levels. The site in question faces southwest on a steep slope with views towards Poole harbour from the first and second floors. 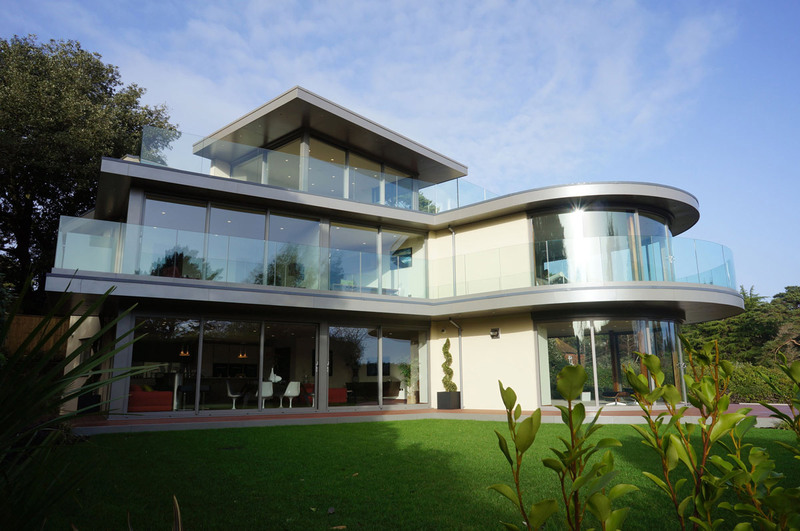 The area of Evening hill is set within the borough of Poole, Dorset and within close proximity of picturesque beaches. 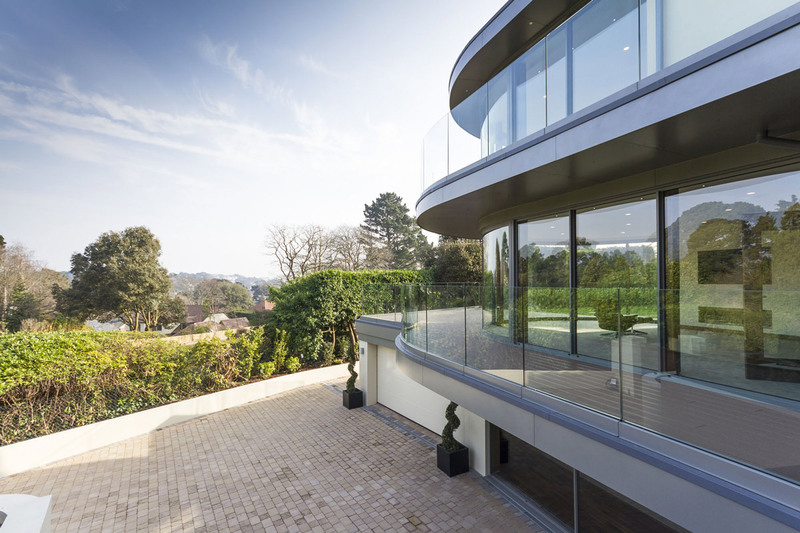 Large expanses of glass make full advantage of these views, whilst a flowing relationship with the ground floor garden is maintained. 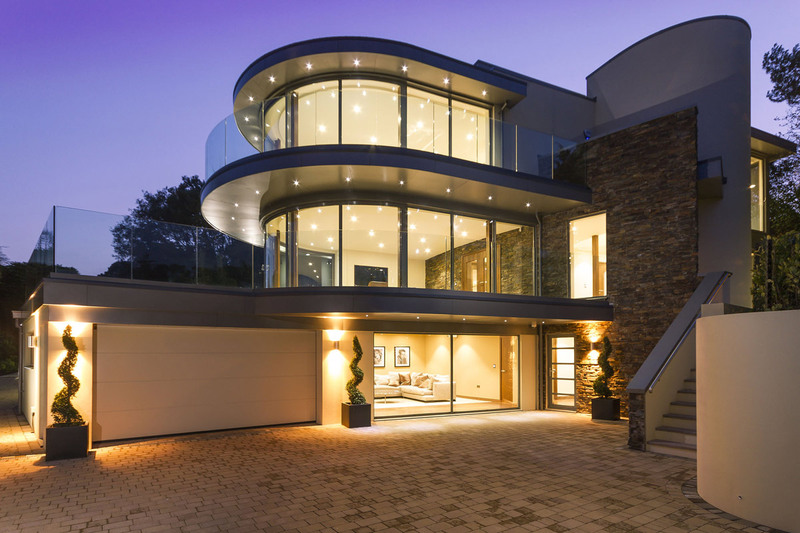 There is ample living space, four generous ensuite bedrooms, an integral double garage, home cinema and a separate study. 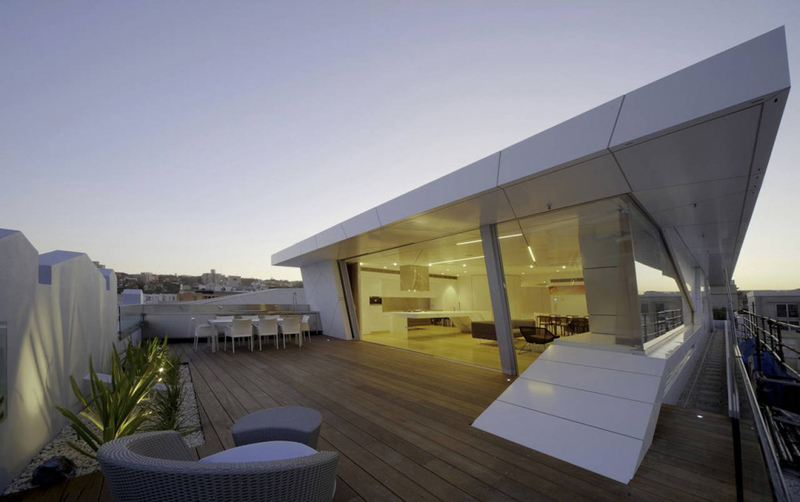 The pinnacle is the sunroom on the third floor with 180-degree views and a flowing indoor-outdoor terrace. 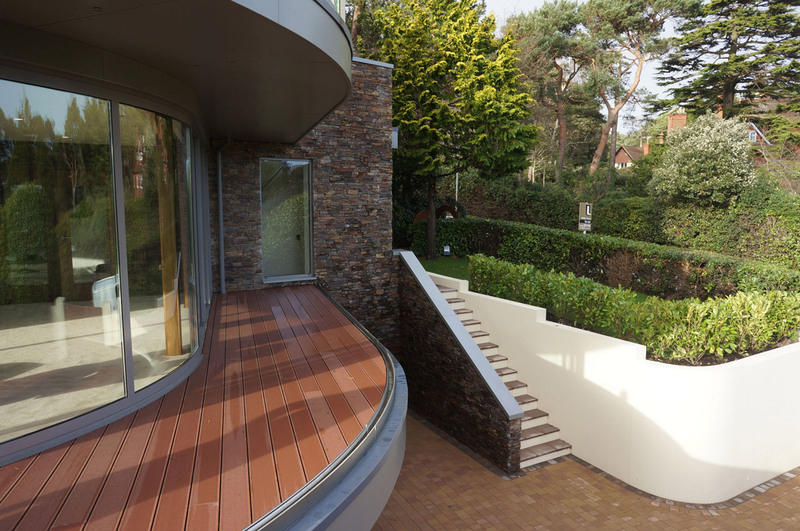 This house has a remarkable street presence enhanced by its siting on the slope, the use of a diversity of textured materials and curved forms. 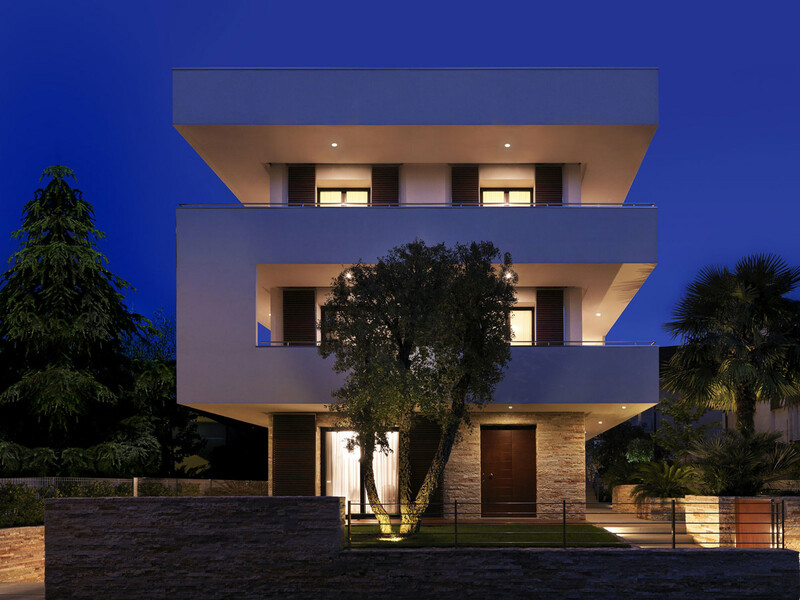 The house grows out of the site with two vertical design features; a cylindrical rendered form juxtaposed against a vertical stonewall. 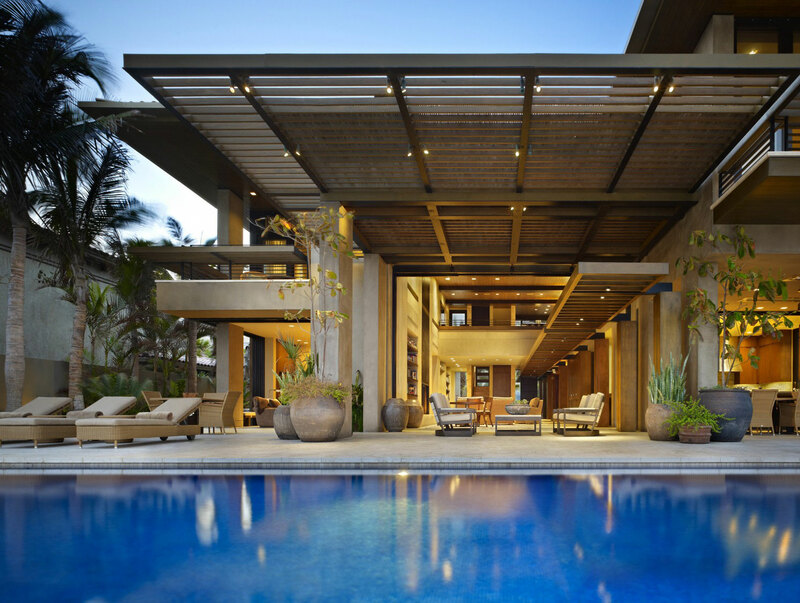 Set against the verticality of these two forms the house expands horizontally with strong grey aluminum lines defining the ground and first floor accommodation. Ventura has a number of bold features. 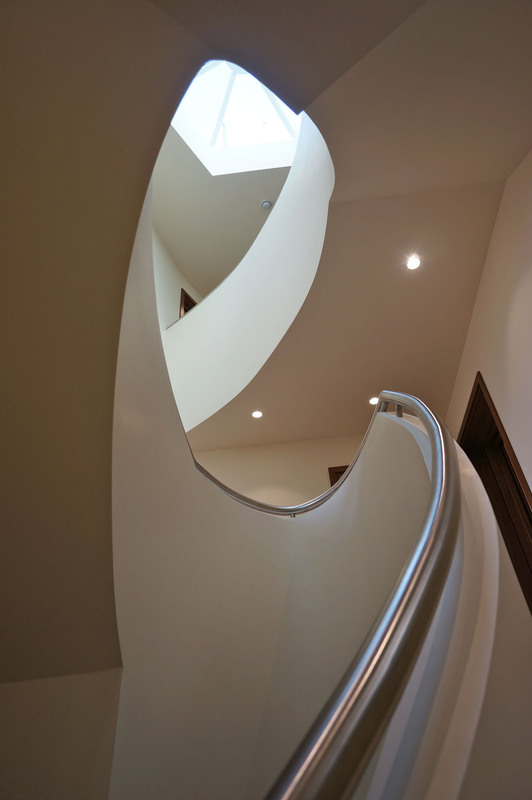 The entrance is set with a vertical stonewall that sits parallel to a curved sculptured internal stairwell. 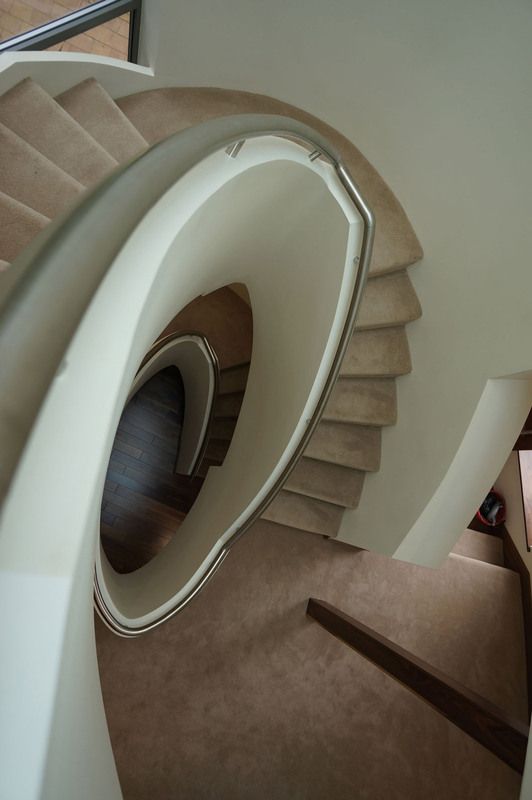 This staircase forms a dynamic sculptured form on the axis of the house with a triple height sculptured curved shape, reminiscent of a seashell. 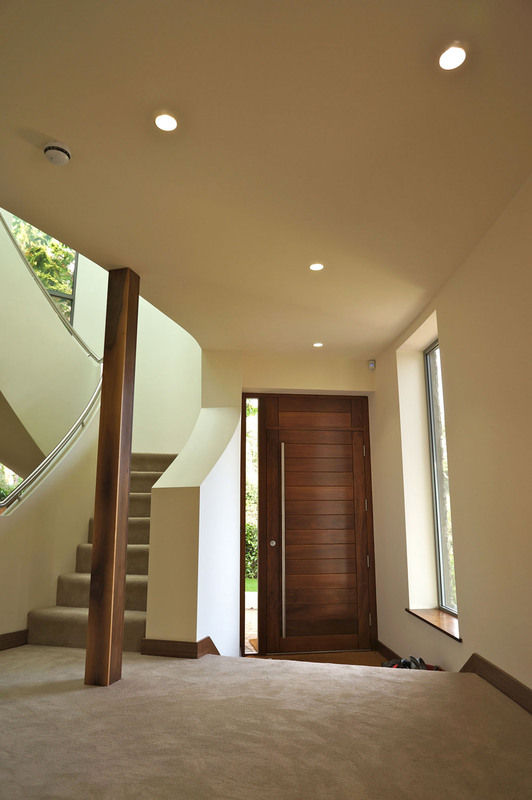 The external arrival feature of a natural stonewall is carried into the formal living room with a seamless transition from outside to inside through a floor to ceiling glazed wall. 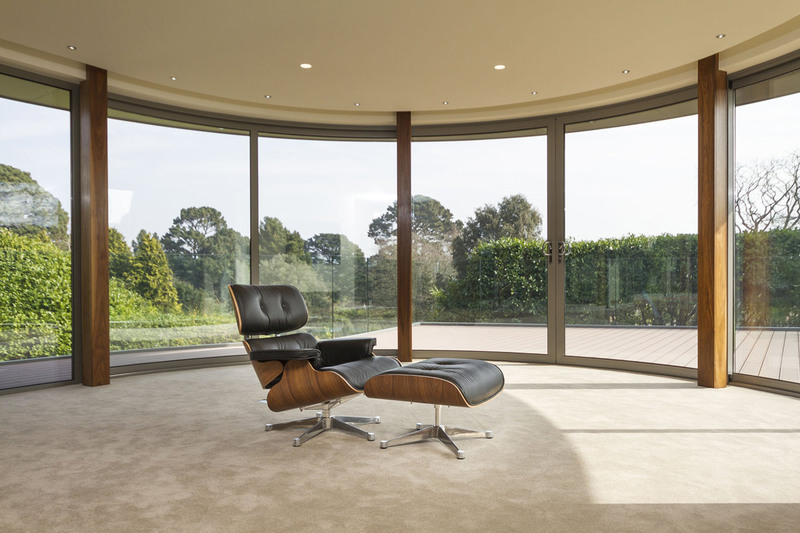 The formal living room feels as if it sits within the garden and also has curved sliding doors facilitating 180-degree views.